Ring in the New Year at one of the most anticipated annual events in Pigeon Forge. The New Year’s Eve Show at the Smoky Mountain Opry Theater is a spectacular showcase of talent and entertainment. The Smoky Mountain Opry goes all out with stunning set designs, pyrotechnics, laser lighting and other special effects to wow the audience. Not to mention, an incredibly talented cast that includes singers, comedians, dancers, aerialists, magicians and ice skaters! 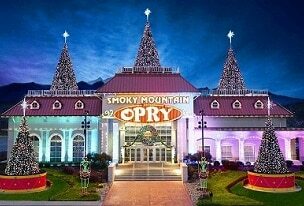 The holiday show begins with a performance of “Christmas at The Smoky Mountain Opry”™. At midnight, watch the ball drop in New York City’s Times Square on the big screen. And the night doesn’t end there. 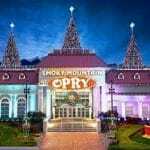 See the biggest midnight balloon drop in the area, party the night away with the Smoky Mountain Opry cast and dance to a live show band.